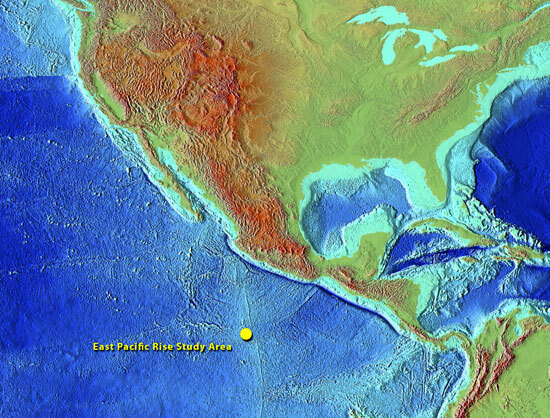 The East Pacific Rise has been a mecca for research by oceanographers, geologists, marine chemists, and biologists. Follow the links below to learn more about this important research site. 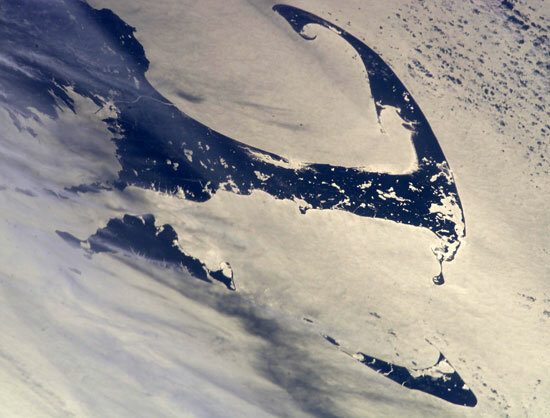 A multidisciplinary research team from six institutions has for the first time successfully anticipated and then chronicled a seafloor eruption along the global mid-ocean ridge, the most active volcanic system on Earth. The event along the East Pacific Rise has provided researchers with a rare opportunity to observe what happens in the immediate aftermath of an eruption. A new eruption on the East Pacific Rise (EPR) was first suspected during a visit to the site by the R/V Knorr in April, 2006. Two follow-up cruises to the EPR site on the R/V New Horizon in April/May, 2006 and the R/V Atlantis in June, 2006 confirmed that a new eruption had, indeed, occurred on the seafloor. RIDGE is a long-term program of scientific research on mid-ocean ridges and other tectonic spreading centers, sponsored by the National Science Foundation. 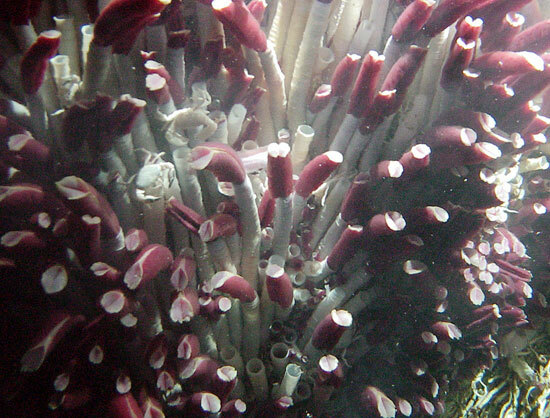 Want to learn more about hydrothermal vent systems and the life on them? Since their discovery in 1977, hydrothermal vents have been found along mid-ocean ridges on the seafloor of the Pacific, Atlantic, and Indian Oceans. These natural, deep-sea plumbing systems ventilate heat and minerals from the interior of the Earth, while supporting complex ecosystems of exotic organisms. These peculiar environments may represent a model for the origin of life on Earth and on other planets. Distributions of hydrothermal vent organisms on mid-ocean ridges appear to be influenced by features such as deep-ocean circulation patterns, by major topographic characteristics such as deep, cross-cutting fracture zones or changes in depth of the ridge system, and by the position and movement of Earth’s tectonic plates over time. Recent expeditions have included the Galapagos Rift, the Juan de Fuca Ridge, Guaymas Basin, the New England Seamounts, the East Pacific Rise, the Indian Ocean, and Antarctica. This site highlights some of the latest discoveries about seafloor volcanoes and vents, and how they create environments for extraordinary lifeforms. The polar regions are experiencing unprecedented environmental changes that are having significant impacts on global climate, ecosystems, and society. Using the latest engineering advancements, scientists are studying the changing climate at heart of the icy Arctic Ocean, the melting glaciers of Greenland, and the creatures of Antarctica’s Southern Ocean. Through daily stories, photos, and videos, Polar Discovery gives you an inside look at these expeditions to the frozen ends of the earth. The adventure begins in April 2007. Each year, middle- and high-school students take part in scientific studies conducted both in the classroom and at sea. Through the web, students work alongside researchers to learn more about the deep sea. The Research Vessel Thomas G. Thompson sailed from Seattle Sept. 1 for a five-week research expedition on the Juan de Fuca Ridge, which lies 200 miles off the Washington coast. The VISIONS ’05 programs allowed viewers to participate virtually in the voyage, seeing life-forms and geologic activity at the same time as the scientists participating in the expedition. Research vessel Atlantis and the submersible Alvin are working along the East Pacific Rise, about 200 miles south and west of Acapulco, Mexico. Alvin is diving to a mid-ocean ridge that is roughly 2500 meters (8100 feet) below the ocean's surface. Shank and other ocean explorers diving in Alvin are looking for tubeworms and other exotic forms of life that can thrive in the intense pressure and extreme temperatures of the light-less deep sea floor.